100 pounds! That's how many Leo lost in a year! A healthy lifestyle that includes running helped him achieve this amazing feat. I started running consistently since July 2016. What inspired or motivated you to start running? 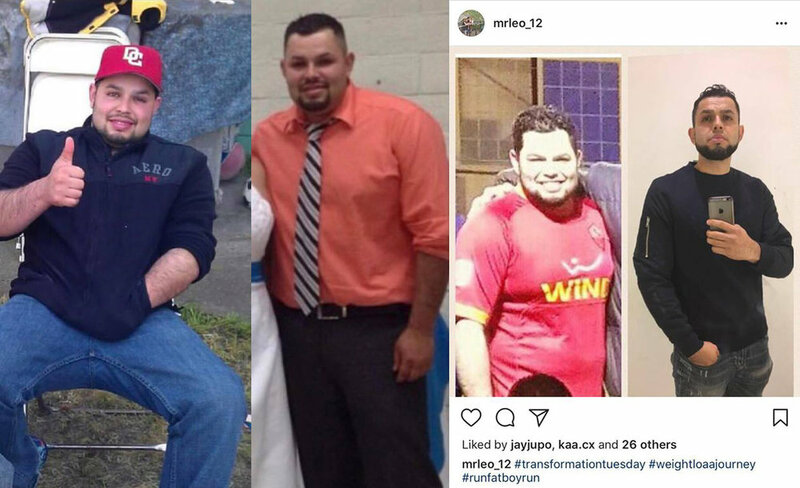 At first it was my health; it was a fast and effective way of losing weight, but afterwards it became a habit because of how good I felt during and after completing my runs. I’ve enjoyed reaching new goals that before seemed impossible. How hard was it to lose the first few pounds and what has kept you motivated? The first few pounds for me are always the easiest, the hardest is definitely maintaining the weight off, and sticking to a completely new lifestyle. One that includes healthy meals and daily physical activity. My motivation comes from my family; simply said, the idea of living a long life with them is enough to keep me going. What do you do to maintain your present physique? I maintain an active schedule and watch what I eat. Depending on my work week I run between 25-30 miles per week. If I’m preparing for a race I push that number as high as I can. After achieving this amazing goal, what other goals have do you have for the future? My immediate goal is to run the San Jose Rock 'n' Roll half marathon in October. After that I’m aiming for the Berkeley half November 19th. But I won’t stop there. For 2018 I set myself the goal of completing a full marathon. I like to spend time with my family and enjoy sports . Always set new goals, be realistic with your goals, but slowly push yourself to greater limits. You will feel great when you reach them. If I can do it, then you can too. 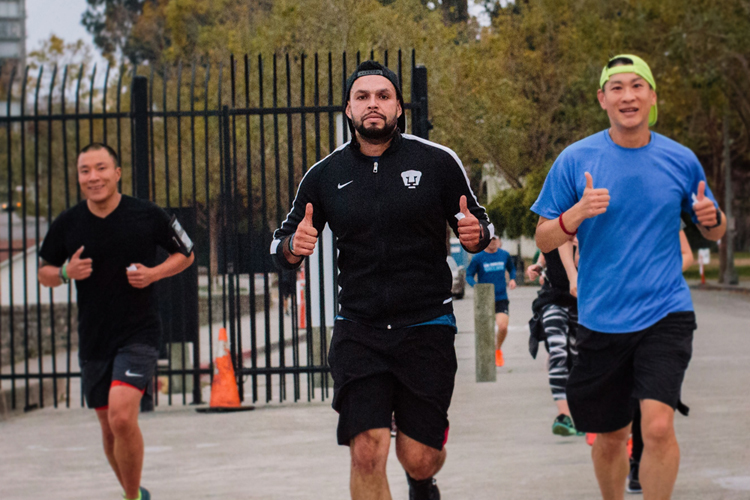 Thank you Leo for being a part of the WeRunSF family. And thanks for showing us that less is truly more.